This time I’m kickstarting the week with aliens with the third issue of Martian Comics. This anthology is a 52 page special featuring seven stories. Martian Comics is an attempt to recapture the feel of early Vertigo comics like Sandman. All seven stories will be written by Dr. Julian Darius, a comics scholar. He also founded Sequart Organization. I had an in-depth interview with him about the project and the importance of comic books as an art form. There are three different artists in this special issues including Jason Muhr (“One Small Step”, “Another Small Step”), Mansjur Daman (“Safari”) and Sergio Tarquini (“Ezekiel”, “What Has Athens to Do with Jerusalem?”, “Small Talk with Rats”, “The Other”). The stories are colored by R.L. Campos and lettered by Colin Bell. The cover, an homage of “American Gothic,” was drawn by David A. Frizell. The first story is “One Small Step,” the telling of the first time Martians landed on the moon while Earth’s most complicated activity was cave paintings. 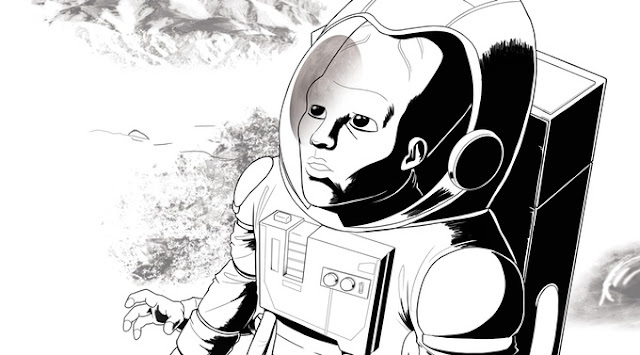 The second story is “Safari,” a tale about a Martian boy’s coming of age which involves a hunt. His journey leads the boy to realizing his father’s mortality as well as his own fears and powerlessness. This story features the series’ very first fight scene which will leave the readers wondering who to root for. The third story, “Ezekiel,” features humanity’s prehistoric encounter with technologically advanced Martians. In the fourth story, “What Has Athens to Do with Jerusalem?” features a returning character, Lazarus, who moves to Athens and sees St. Paul and the beginnings of Christianity. He hears the Saint’s stories about Jesus who Lazarus has met previously. "Another Small Step," the fifth story, is a sequel to “One Small Step.” This story shows Earth’s moon landing experience as viewed by Martians. The final two stories are “Small Talk with Rats” and “The Other.” These two stories will continue “The Girl from Mars” story that ended on a cliffhanger in Martian Comics #2. In these tales, the biggest villain will be revealed and a character will die. 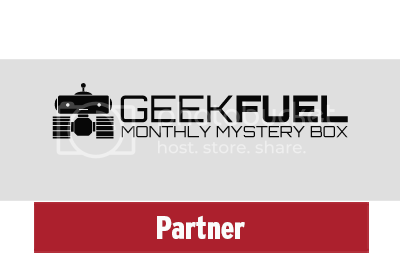 The project will be funded if $2,600 is pledged by June 22nd, 2015 at 11:00 PM EDT. The money will go towards Martian Comics going into print for the first time, a special Kickstarter-only paperback copy of the Martian Comics #1-#3 that’s 106 pages long and includes a letter column exclusive to this edition and Julian Darius. Darius has largely been funded on credit and he requires funds to cover the costs of finishing Martian Comics #3’s coloring and lettering. 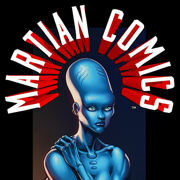 You can pledge as little as $5 and receive a copy of Martian Comics #3 in PDF form. For an $11 pledge you will receive digital copies of Martian Comics #1-#3 and the Sequart Organization will offer the backer a free download of one of its movies and a free download of one Julian Darius book (your choices include Improving the Foundations, And the Universe So Big, The Weirdest Sci-Fi Comic Ever Made, Voyage in Noise, When Manga Came to America, and Classics on Infinite Earths). Me: Why are you fascinated with science-fiction and, in particular, Martians? Julian Darius: I always loved science fiction. There's a wonder to it, whether it's flying saucers or rocket ships, that's appealing on a visceral level. Science fiction also starts from humanity's greatest accomplishments, which are technological. Whether it's 2001 or Gravity or Interstellar, some science fiction helps you realize just how hazardous space is and how utterly amazing it is that we've landed on the moon and could go further, if we wanted to. And I think that's a metaphor for what we're capable of, as a species. I also think science fiction is capable of interrogating the human condition like no other genre. I certainly like realistic fiction, and there's an awful lot of it and other genres that move me. Certainly, when we see outside of our own perspective through reading or watching fiction, we're expanding our understanding of society and what it means to be human. The same is true when we read historical stories; it's possible to get a feel for what it was really like, in a certain culture, in a certain place and time, and this helps us to see outside of ourselves. But science fiction is able to interrogate where we're going as a species. And in a lot of sci-fi stories, human nature is key. Whether we form an alliance with aliens or kill them says a lot about us. Mars is fascinating to me, because it's the next planet over. And a lot of those old, cool sci-fi visuals were tied to Mars. It was the site of most of our thoughts about aliens living in our solar system. Of course, that's over now, but reading earlier science fiction in which Mars and other planets were populated makes me recall this wonderful time in which you could really believe this, and our solar system didn't seem so lonely. In fact, Mars almost certainly had life on it, and it probably still does, but it never had time to evolve the way it did on Earth. We're very lucky. But Mars remains this Other. Martians were our reflection. Sometimes, a dark reflection. But it was this kind of other self, just nudged a little further away from the sun. It's this idea I find so fascinating. Me: Aliens in general have multiple iterations ranging from little green men to grey almond-eyed creatures. What is your favorite interpretation of an alien? Darius: As a kid, I wasn't scared of an awful lot. But the grey aliens terrified me. I used to lie in bed and hallucinate, or maybe just imagine really vividly, that the roof of the house was gone, and there was a UFO over it watching me. I also experienced missing time once as a kid, though it wasn't an abduction or anything. But I believed in magic, and in UFOs, and had a very different worldview than I do now as an adult who finds all of this to be a frightening kind of magical thinking. Those grey aliens horrified me on a visceral level. They looked like horror embodied to me. Maybe it's the way they reflect human fetuses, with those big eyes and thin limbs. There's something very evocative there. Of course, now, I think those similarities reflect the human creation of this alien model, and there's evidence of this, in terms of how that alien developed. Similarly, different cultures imagine different aliens, so it's pretty clear this is all culturally influenced and not "real." I still think the idea of a grey alien, lurking in the dark of my house or in the corners of my dreams, is a horrifying visual. But I'm not sure that I have a favorite alien design. I tend to like designs that are less human-looking. I am partial to the Vulcans on Star Trek, but in general I'm disappointed when aliens look just like humans. Me: You bring up some interesting historical events such as St. Paul’s sermons and the moon landing. What historical event would you like to have Martians witness that you have not already written about? Darius: I've got plans to write about a lot of other historical events, and I'm sure I'll come up with more. It's tempting to think of something like the eruption of Mount Vesuvius and want to have Martians watching it. But I have to figure out how to write a story around the event, and the story has to come first. It can be a simple story, with a simple through-line, but I often have to roll it around in my mind for months or even years before I really feel the core of what the story is. I have planned out some later Lazarus stories that deal with the development of Christianity, as well as Jewish history, and those are very important to me. There's a story coming up in ancient Egypt, but it avoids the whole "aliens built the Pyramids or the Sphinx" cliché. When I think of what I'd want Martians to witness, what comes to mind is something like the Gulf of Mexico oil spill, a few years back. It's these kind of things, which reflect human short-sightedness. They might not be dramatic events, like a war, but to me they represent our inability to think long-term and as a species. I often think that someone watching events like that, from an outside or objective perspective, would be horrified. Our own self-destruction would be so transparent. Me: If you could only pick one historical event throughout our entire history, what event would you personally choose to see? I wrote a thesis on Milton, and I wouldn't mind seeing the execution of the king. I don't think we know whether Milton was in the audience, but it would be great to see that beside him, were that possible, and see what that event meant to him and to the crowd. It was a revolutionary moment. But I think we often romanticize the past. I would love to see something like the fall of Troy, but it would probably be disappointing, and I'd probably get sick and hate the food. Me: How would you describe the three different perspectives the art styles of Jason Muhr, Mansjur Daman and Sergio Tarquini bring to the lore of Martians in this book? Darius: One of the joys of working with artists is that what you get back is almost never what you envisioned, but it's different in fascinating ways. It's filtered through a different mind and a different aesthetic, and I love those differences. I'm not a writer who gives an artist a lot of notes, generally, unless something's missing that is important to the plot. I just love seeing what an artist comes up with. Sergio Tarquini is the series artist, and I love his work. He's an excellent storyteller, and we've developed a relationship in which I trust him to ignore my suggested panel layouts and create something that's more effective. I think he's a great artist, and he's tremendously versatile. I've made him draw a tremendous variety of material, and he's able to do it all very successfully. His work is stylized and uniquely his, but it's not so overly stylized that it's distracting. I think he's also capable of being very emotionally affecting. I've fallen in love with the characters he's illustrated, and that's in large part due to him bringing them to life in a way that affects me. I always think of Mansjur Daman's work as very classical. It's realistic and detailed, without being overwhelming. His work, to me, comes from a tradition in which there was a kind of precision and very professional feel to some comics’ art. His work sometimes reminds me of Alex Raymond and John Ridgway, although Mansjur definitely has his own feel and his own identity. I think Bryan Hitch is an inheritor of this tradition, to some degree. I think Mansjur's style works very well for Martian stories, because it grounds the Martians in a very real-world way. These fantastic aliens feel like they occupy a kind of real space, and I can use this perspective that he brings in my writing. Jason Muhr is also a realistic artist, but his work favors curved, open lines. It's a very clean effect. You could think of Alan Davis, who similarly favors these curved, open lines. For something like a moon landing, you need this kind of clean, realistic look, or it would look odd and not like the moon landing you picture. One effect of these open lines is that his work has a kind of brightness to it, so when he illustrates the Martians, they seem happier in a way. And that fit his second story, in which the Martians are being quizzical and the stories about this strange and wonderful world they inhabit. I think it's great having these multiple perspectives and seeing the Martians through different stylistic filters. That was something really important to me, when I was planning the series, and I feel like it's worked out brilliantly with these two artists. The issue that's on Kickstarter is the first time we get these other artistic perspectives, and I kind of feel like it's the issue where the series kind of opens up. 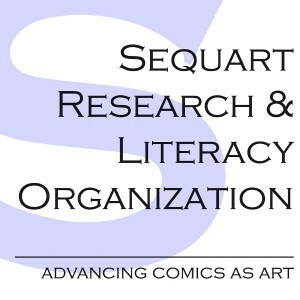 Me: As the founder of the Sequart Organization, can you describe the mission statement behind this organization and the reason you founded it? Darius: Sequart was founded to advance the idea that comics were a legitimate form of art that could stand alongside any other medium. Back in 1996, I was an undergrad who had read an awful lot and really loved comics. Comics were more important to me than prose and movies. They were my medium. But professors, back in 1996, were not there yet. I was told comics were for kids. My professors were great, and I loved them. 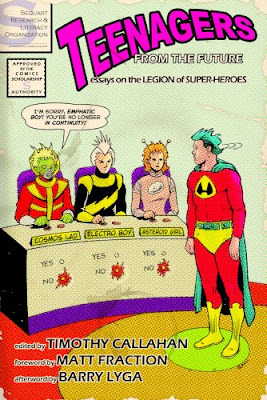 They respected me and my mind, but they sort of treated this fascination with comics as a strange eccentricity. There were no courses in comics. So I decided to write about comics on my own. I started a website and began to fill it with my thoughts on comics, with papers on comics’ history, with reviews, and with documents summarizing publication histories. They got millions of visitors, and others started writing for the site. We kept growing, eventually publishing books and making documentary movies about comics. But it was a very organic growth. Me: I know comic books have been stereotyped as “not real literature” and for “children.” What do you think should be done to have comic books seen as a more serious medium? Darius: I wonder how much this old stereotype still holds. I think with the rise of comic-based movies and the ascent of geek culture, we're hopefully past the idea that comics are just for kids. However, I think that comics are still regarded as this odd geeky thing, and they're usually talked about in really insulting terms that show they're not thought to be real literature. For example, people will praise how imaginative they are, or how cool a certain plot twist was. But comics aren't widely being discussed the way we'd discuss literature, where we tend to praise style and structure as part of discussion of plot and character. In some ways, while I enjoy seeing geeks get respect and am still kind of amazed to see all these comics-based movies, I've come to fear that all of this attention has been patronizing. It's very commercial. The movies are successful, so TV channels and magazines feel the need to cater to the geek audience. But this wasn't the dream I had in 1996. My idea wasn't that comics were cool or fun, although that was part of it. My idea was centrally that comics could stand alongside movies and novels as a vital artistic medium that could be every bit as literary, every bit as versatile, every bit as deep. And we're just not seeing that depth. It's there in some comics, but it's not there in the way people think about comics. So we have this odd situation in which people want to say they're down with comics, but the idea that comics are capable of profundity is as alien to them as it ever was. Instead, they're focused on how it's cool that people are into these Marvel super-heroes, or how cool these comic-based TV shows are. And while this is nice, comics are really secondary to this praise, and this praise isn't critical. It's not the way you talk about literature, or talk seriously about movies you think actually matter. Not every story has to matter, of course, but the medium of comics should. And is still almost utterly lacking in respect as a literary form. One of the things we desperately need to do for comics is to create a kind of body of criticism. In terms of discussing movies, there are tons of movie news blogs, and there are sites that do analysis of them from a more fan-based level. And that's fine. But very sophisticated movie criticism has existed, in a codified way, since the 1960s. There are film analysis and film history programs at universities, and there are tons of brilliant books about them. More importantly, we all understand that the popular buzz about movies is separate from the informed assessment of those movies, their strengths and weaknesses, and their importance in cinema history. We are totally comfortable saying we love a certain movie, yet even as we say this, we understand it might not be an important movie or a technically great one. If a critic says that a movie we love isn't very well-written, or that the acting isn't very good, we're not usually bummed out about it. We know there's a role for that, for this kind of professional criticism, and it doesn't take away our joy. In comics, we haven't built this body of criticism. There are more books about comics than ever, and Sequart's been a big part of that. But there's not much of a history of professional criticism. So what you get is a lot of fannish criticism, in which what people love gets praised as genius. Meanwhile, when someone says that a certain comic isn't technically that good, or that it's fun but not very important, or that its depictions are sexist or Islamophobic or have other problems, fans tend to lash out in a really violent way. Again, we don't do this for movies or literature. You can love Michael Bay's Transformers movies without thinking they're ingenious works that are as good as Citizen Kane, and you can love them without being upset that critics point out their sexism. 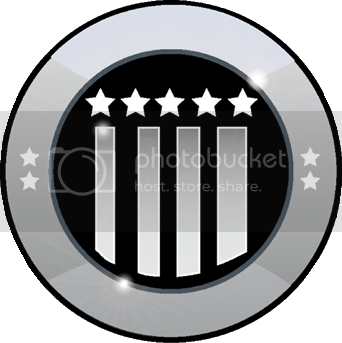 You can even admit those critics are right and still love them. But in comics, because we don't have this culture of professional criticism, there's a lot of hostility whenever comics we love are criticized. And that's got to change, if comics are going to grow up and be taken seriously as a medium. That's the main thing I'd say we need to do now, to advance comics. And a huge part of that is making room for voices that weren't necessarily vocal in the past. The attacks on women, especially female critics, has been heartbreaking for me. It chases smart women out of comics, and that retards our advancement as a medium. We need this diversity of viewpoint, and we need to cultivate a culture of comics criticism, not attack and silence people because they dare to criticize a comic while also being female. This is just not something that happens in literature, or movies. It's ugly and flat-out wrong, from a purely moral and humanitarian perspective. And even from a legal perspective, in a lot of cases. But this behavior is also hurting comics, demonstrably, and to me, it has everything to do with lacking this culture of criticism that other art forms have. The bottom line is that you can't treat women this way and be a serious art form. It has to end. Now. Finally, I'd say that comics have to be better. Some would say that comics are better today than ever. In some ways, that's true. There are a lot of good comics being made. I'm not sure it's a greater percentage than ever. There are more comics being made today than probably at any point in comics history. But I do detect a certain fearfulness to be literary. That's not universal, of course. But I think that, as comics have gotten respect for inspiring these blockbuster movies, we've focused on making cool and fun comics. If you look at the comics in the 1970s and 1980s that really inspired people to take comics seriously as an art form, most of those comics aspired to be literary and to use literary devices. Will Eisner's graphic novels were obviously an attempt to use comics to tell novel-like stories, even if they were painted with some broad emotional strokes. Alan Moore's work was so infused with literary language and literary devices. V for Vendetta, Miracleman, Swamp Thing, and Watchmen were all attempts to do really literary things with comics. Neil Gaiman's Sandman was also really literary, and it got a lot of people who hadn't even read a comic before to take comics seriously for the first time. Independent comics like Cerebus were also very literary. Of course, not every comic needed to do these things, just like every novel doesn't have to be Proust, and there's room for commercial movies and for art movies. But it's those literary novels that really prove what novels can be, and it's those artsy movies that are usually praised decades later as proof of what cinema can really do. I worry that today, doing these literary things with comics is seen as somehow snooty, or smartypants, or something. It's just not done much anymore. Part of this is a rejection of revisionism and of the darkness that's kind of falsely leveled against all of these comics (plenty of them weren't all that dark). But part of this is that the rise of geek culture has been a result of blockbuster movies more than these literary comics. 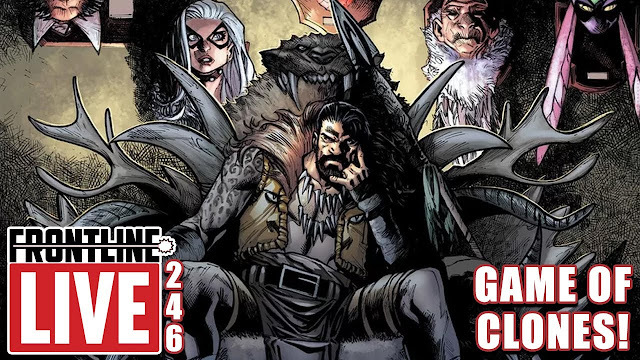 Consequently, there's a culture within comics today that aspires to get movie adaptations and aspires to get praised for being cool the way the movies and TV series are praised. Even comics creators who want to make cool and different comics can't help but be influenced by this culture. Everything around them says the goal is to be cool and not to be good. I'm going to get in trouble for saying that, but by "good," I don't mean successfully entertaining, or a fun romp that's well-put-together. I mean literary, the same way that Transformers is a really cool movie, but we're totally comfortable admitting it's not all that good. The same way that absolutely no one credibly thinks 50 Shades of Grey is good or well-written, even though tons of people like it. So I think there's room for more literary comics, for stuff that could credibly be put on the shelf next to Watchmen. A lot of comics were trying to do that, in the late 1980s and early 1990s, but I don't think many are now. Instead, we're too busy tearing Watchmen down and tearing down the idea that being literary even matters. Again, there are plenty of good comics out there, and I'm not trashing the current state of comics. I'm just saying that, as part of comics being taken seriously as a literary art form, there should be some room for literary comics, the same way there is for the sophisticated novel. At Sequart, we're trying to change comics culture and to create a body of comics criticism. And with Martian Comics, I'm throwing my hat into the ring to try to show that there's a place for literary comics. I see both as attempts to advance the medium as a legitimate art form. Me: What advice do you have for aspiring comic book writers? Darius: I don't know that I have much advice, because I feel like I'm still struggling to get attention for what I'm doing. I believe in it passionately, but I honestly don't know if there's enough of a market to sustain it long-term. I think that if you want to make comics, the best thing you can do is just make comics. If you really want to do it, do it. Don't wait for a company to discover you. Don't make excuses. Get started, because it takes a long time to complete a comic. It takes a long time just to figure out how to do it, from a technical perspective, like how to layout pages as files, how to collaborate with different creators, and even what order things are done in. The other thing to keep in mind is that making comics is tough. People always talk about how cheap comics are, relative to film, but if you have to pay artists and colorists, comics can be insanely expensive, relative to the average income. Building an audience takes time, and success is almost entirely about luck and only tenuously connected to quality. You hope that if you do good work, people will discover and share you. You have to have faith in that, or you probably wouldn't do it. But it's tough. Finally, the thing I'd tell aspiring comics writers in particular is that they should read and write constantly. You don't have to write every day. But you have to write a lot. You should probably write novels and screenplays and even poetry, not just comics. The world doesn't have to see it all, and probably shouldn't, but you should expect to write thousands of pages in different genres and media before you're really comfortable as a writer. And you should read more than comics. Don't be insular. Be intellectually curious. Me: Thank you for your time and your in-depth observations about comic books. 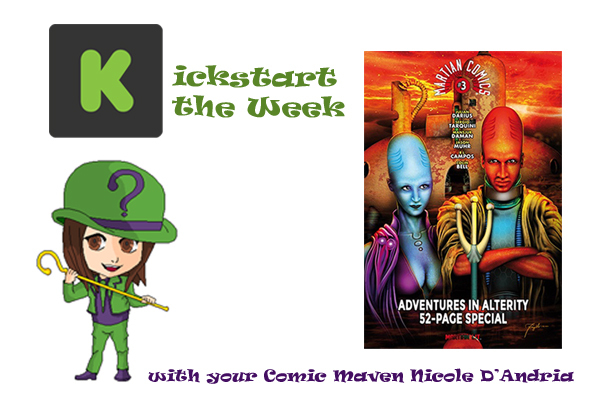 Best of luck kickstarting your little green men into print!